From then on go to the website of Yahoo View or use their app if supported. Please see supported devices between Yahoo View and Unlocator at the bottom of this page. Yahoo View is one of the few streaming services that allow you to watch Hulu shows like Scandal, Bones, Modern Family, Empire, Shades of Blue, The Catch, Live Free or Die, Blue Bloods and New Girl, for free. This is because you don’t need to create a Yahoo account or subscription to get to watch these shows. Unfortunately, as good as this sounds, it only applies to viewers who live within the US. American expats aren’t so lucky because once they try to access the service, an error message pops up informing them that it is not available in their region. Whether you’re in Germany, France, Canada, Australia, Italy, Japan or even the UK, access to Yahoo View is restricted since it is a geo-blocked channel. To get to watch your favourite shows, you would need to bypass these geographic restrictions through Unlocator. Unlocator has a very simple way of getting around these geographic restrictions. It works by masking your location in regards to the channel you are trying to unblock. That site or app you’re accessing will not able to identify where you are streaming from. This way, any restrictions based on where you might be are overcome, and you get to watch your favourite shows from wherever you might be. Unlocator does this by redirecting the URLs that reveal your location elsewhere, and when doing so, your Internet speed remains unaffected. This is one of the major perks that subscribers get to enjoy. Your IP address also does not change. The installation process is straightforward. Whether you’re using OS X, Windows 10, Windows 7, Windows 8, Windows XP, no additional software is required to get Unlocator to work. When signing up for our free 7-day trial, there is no need to register your credit card. Simply create your Unlocator account. Then, follow the setup guides of the compatible streaming devices below. 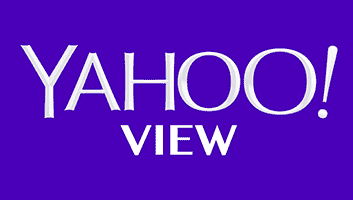 Watch Yahoo View from anywhere in the world. If you need a helping hand with the setup, you can contact our support team here.